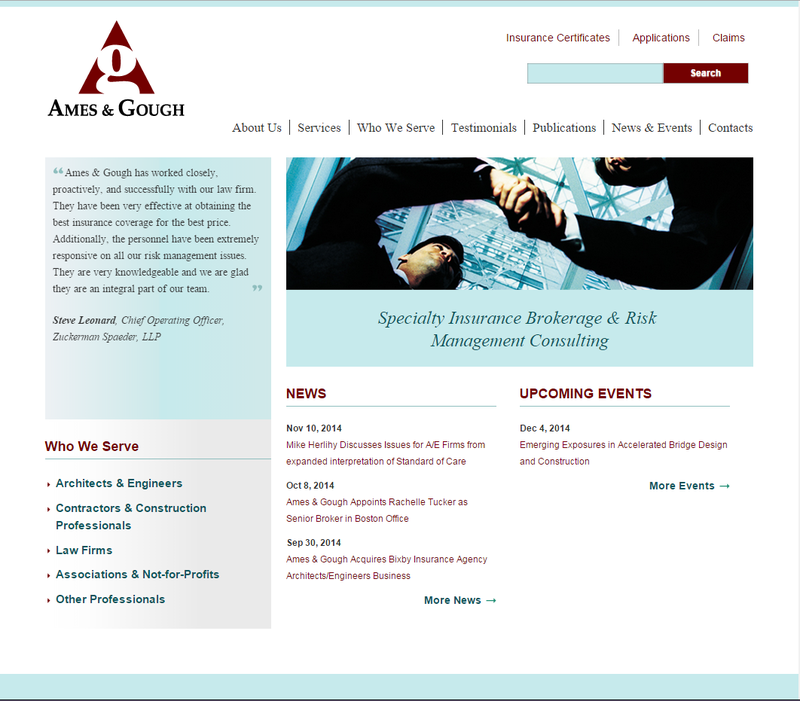 Ames & Gough is a specialty insurance brokerage servicing four industry segments - design and construction firms, environmental service firms, law firms, and professional association and consulting firms. They are truly industry experts. When they were referred to SoH, they had a Drupal website that needed review and upgrade. They were limited on some pages to typing code, rather than text, into the content areas. They were the perfect clients for our Drupal Rescue service. We conducted a deep technical site evaluation and identified issues with site structure, the hosting environment and the Drupal configuration. We corrected bugs, improved site performance, updated core and modules, corrected the WYSIWYG editing configuration, reconfigured the site on SoH servers, and set up backup and maintenance programs. Once the site was stable and running on our servers, we were able to address additional modifications to the website, including the improvement of the administrative interface. We have updated the site to Drupal 7 and implemented a mobile-friendly design.